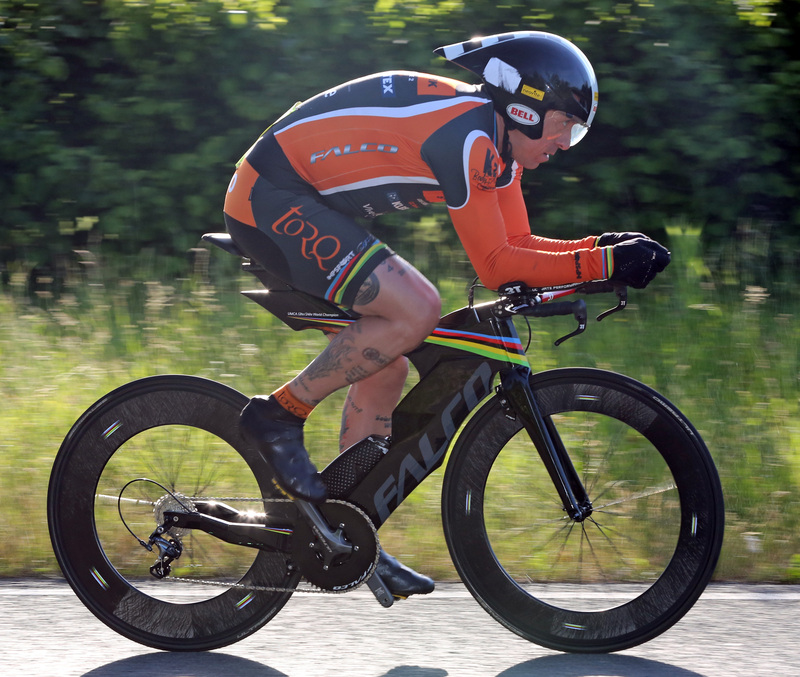 Chris 'Hoppo' Hopkinson – Keep up to date with me and my Ultra cycling! I started cycling in the October of 1998 at the age of 31 as a way to commute to work. Over the years I have achieved many things on the bike and have many tales to tell. Here is a few things I’ve done :- 2001 – Became Long Distance British Best All Rounder (100 miles, 12hr, 24hr) British Best All Rounder 7th place (50 miles, 100 miles, 12hr) 2002 – Became semi-pro joined sponsored team – Pete Read Racing National 24hr Team Champions (completed with broken hip and elbow) Audax UK National Champion National BBAR runner up team Set new World Record – Pembroke to Great Yarmouth – 368miles in 16hr 58mins 2seconds (still stands). 2003 – Joined Preston Wheelers Welsh 12hr Timetrial Champions National 24hr runner up team 2004 – Re-joined Matlock CC Feb won Sebring, Florida 24hr time trial by 33 miles (432mile) setting a new course record and becoming the first person to ever qualify for RAAM from that event April – set Missouri cross state records east to west and west to east (both still stand) May Kraftwerk Austrian 24hr Championships 467 miles – 7th Place. Runner up UMCA 24hr World Championships with 450 miles October Texas 24hr winner setting new course record of 400.20 miles (still stands) Cycled from Texas to Oregon within a week then raced the Ring of Fire 12hr around Mount Hood winning and setting a new course record of 215 miles (still stands) November raced the furnace creek 508 through Death Valley, Nevada, a hurricane, desert storms and heat of up to 120F finishing 10th with an avatar of Border Collie 2005 – Feb – won Sebring, Florida 12hr Time trial – 249miles March completed Lands Ends to John ‘O’ Groats 845 miles in 2 days 10hr 28mins racing a TNT lorry- this was filmed for Eurosport television and is still being re-run to this day April runner up Davis 12hr San Francisco – 242 miles May Kraftwerk Austrian 24hr championships – 472 miles I became the First Ever Official British Solo RAAM finisher – 3052 miles in 11days 23hr 5mins. The film documentary ‘Bicycle Dreams’ has me as one of their featured riders. 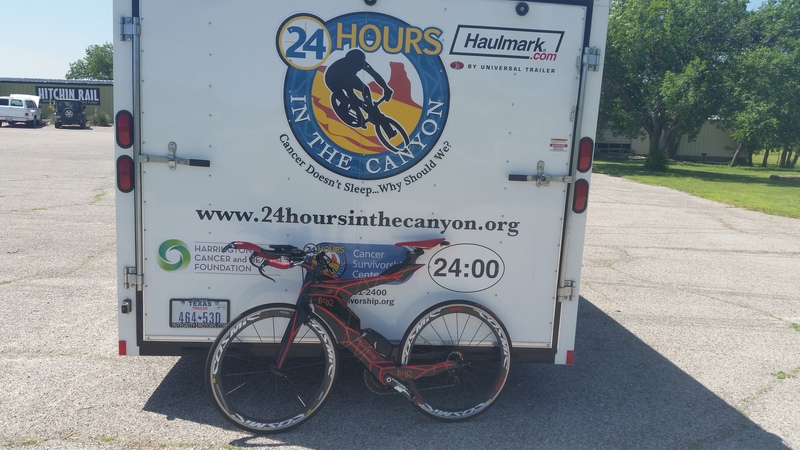 July on returning from RAAM with partially torn Achilles tendon, raced national 24hr as recovery ride doing 369miles following that raced 6 x 12hr races on consecutive weekends to prepare for final World 12hr Championship race in America. August – UMCA 12hr Championship won with 235 miles and became UMCA and World 12hr Champion (combining this race with Sebring and Davis) this was completed in a bright pink skinsuit to bring awareness of cyclists on the road after a friend and fellow competitor (Zak Carr) was killed. October won Texas 12hr Timetrial Shootout 2006 – Feb – joined API Racing May – Kraftwerk Austrian 24hr Championships 3rd place 522.5 miles (second furthest distance ever completed in 24hr by any British rider). July – National 24hr Time trial Tandem Champions – 473miles, 2nd furthest distance ever completed by a tandem pair, this was completed at the request a friends widow, to complete it on his behalf after he was killed training. UMCA Tandem Champions European Tandem Champions August – National 12hr Timetrial Team Champions October – Texas Timetrial 12hr shoot out runner up 241 miles (completed with broken a wrist) 2007 – Feb – Sebring, Florida 12hr Timetrial runner up 240 miles July – National 24hr Timetrial Team Champions UMCA 24hr European Champion September – retired from cycling. 2012 – January – re started training October – won Texas 24hr setting a new course record of 397.5 miles November – Became UMCA 24hr Champion. 2013 – Won Sebring 24hr. Completed RAAM in 11days 21hours 51mins, Won UMCA 24hr championship. Set London-Cardiff UMCA record. Set Cardiff to Edinburgh UMCA record. I was awarded the UMCA Cyclist of distinction. 2014 – Won sebring 24hr. Comleted RAAM in my best time every – 10 days 18hrs 55mins and won the Jure Robic Award. Completed the Race Around Ireland. Competed NOCOM (No Country for Old Men) 1000 mile TT setting a new record of 2days 23hrs 58mins. Won UMCA 24hr Championship. Won UMCA 12hr Championship. Won UMCA Ultra Cycling Cup. This was one of my busiest seasons and after doing this I knew that physically and financially I had to calm things down a bit. 2015 – Won Bessies Creek 24hr and set a new course record of 452.9miles. Won 24hrs in the Canyon and set a new course record of 418. Won Texas 24hr setting a new course record (just beating my old one) of 397.5. Won The Texus Ultra Cup 24hr Champion. Won the UMCA 24hr Championship. Won the UMCA 12hr Championship. 2016– Set the British Mens record at Le Mans 24hr. Set a new Zwift indoor cycling record of 1010.7 miles in 72hrs 36mins. Won the UMCA 12hr Championship. Was made ambassador of the Race Around Europe.